Seems like we just celebrated the holidays and now all of a sudden it’s February. Before you know it, it’s going to be Spring time! With that being said, we have sent out your 2016 annual property care proposals for the upcoming season, and now would be a great time to take a moment to look it over. What a great way to start off the spring season, knowing that your landscape needs are already set up to be taken care of. All you need to do is sit back and enjoy! 4. Come in person (we love visitors)! If you have any questions, please call our office, our highly trained customer service representatives are here to answer any of your questions or address any of your concerns. Winter weather and your trees health. February weather in Colorado can be very unpredictable. In the past few years we have seen everything from mild 55 degree days to freezing temperatures below zero for multiple day stretches. These conditions place significant stress on our trees. Mild temperatures can promote an early break from dormancy, which often leads to freeze damaged leaf and bud tissue. Massive temperature swings may damage vascular tissue inside the tree when moisture in the cells expands due to freezing. Injury from cold temps and large temperature swings can persist long into the growing season, and it may impact processes such as flowering and fruit production. 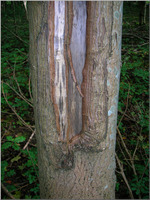 Damage can also extend into significant trunk injury known as “sun scald” or “frost cracks”. Heavy snows can destroy branches and impact tree structure for years to come. Mitigating the impact from Mother Nature’s heavy hand can be difficult. Trunk wrapping with a layer of insulated paper can offer a measure of protection from the intense sun exposure. Supplemental watering can protect sensitive root tissue during mild temps and drought periods. 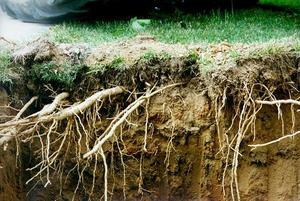 Protecting roots in the winter will help to prevent lags in growth when spring arrives. It is also very important to plan ahead when it comes to pruning your trees. The time and attention you spend on corrective pruning will pay big dividends when it comes to preventing storm damage in the canopy of your trees. Our Arborists are always available to meet with you to discuss the potential problems that your landscape may encounter, as well as helping you to develop a plan to protect your property. For more Tree Top Times articles, click here. Even though lawns are still dormant, now is the time to plan a strategy to have a beautiful, healthy lawn this summer. By doing a few simple things now, you will get a jumpstart on problematic early growing season problems. Look for dry areas. Places where the snow melts first are prime areas for mites to cause damage during the winter. Watering these areas on warm winter days can help replenish the water the mites are draining from the blades of grass, while also knocking down the adult mite populations. If these dry areas are getting ‘crunchy’ to walk on, it’s a sure sign of mite damage. (Dormant grass should still be soft.) Mountain High does offer winter mite sprays to cut down on damage. Should mites do heavy damage recovery will be slow. Often these areas will stay brown considerably longer than the rest of the yard, and the worst cases may have to be repaired with seed or sod in April or May. Some areas of the lawn may thin out during the winter. Several common causes of lawn thinning include insect, rabbit, and disease problems. Heavy traffic, poor soil fertility and too much shade are also common factors to a thinning yard. Poor maintenance such as improper mowing and watering can contribute to this as well. 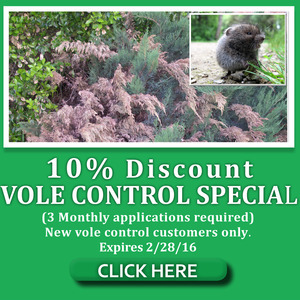 An area in decline can really suffer and could even totally die out during the winter months. To help struggling areas of the lawn, keep traffic off as much as possible. Often areas of heavy shade get more sun during the winter and early spring because there are no leaves on the trees. If this is the case, try to keep those areas open, moist, and sun exposed. Winter weeds can be a problem. While many weeds dies out in the late fall after producing seeds for the following year, some weeds don’t die. 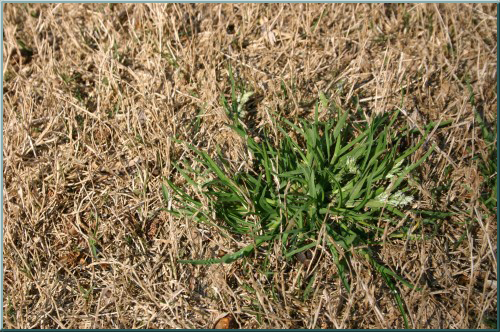 Early spring applications of weed killer can bring them under control before they cause heavier weed infestations. This is why Mountain high lawn technicians start in late February or early March. One of the more common lawn diseases over the winter is snow mold. 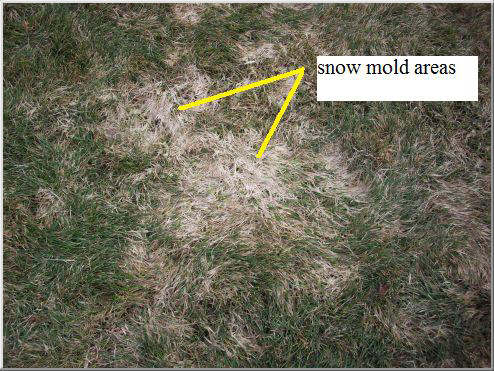 Snow mold is either grey or pink in color, and causes splotches of matted down grass. There is no need to treat this with a fungicide. Instead, fluff up the grass with a rake to allow air flow. Lightly fluffing the grass in the middle of winter in these areas will prevent long lasting damage later. Most damaging lawn insects are not active now, but they may have damaged your lawn last summer or fall. These bugs are primarily a problem May through early October, and if areas of your lawn were damaged insects are often the problem. Getting a mid-spring application of insect control (late April – early May) can drastically cut down on re-infestations. 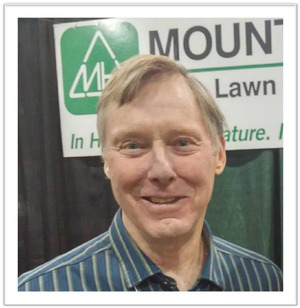 Mountain High offers professional lawn insect control. One of the leading causes of decline in turf quality is shade. As trees and shrubs grow larger they tend to create more shade in larger areas. This change in the environment often leads to grass thinning. In many cases tree or shrub thinning will allow enough sunlight through to allow the grass to stay lush. If not, landscaping with shade-tolerant plants may provide the best long-term solution. A lot has been happening at Mountain High Tree this last year and I would like to share some with you. We have started a “give back” program that is near and dear to my heart. Mountain High has joined forces with the “Children’s Diabetes Foundation” and have set up a program called Mountain High Helps where any donation to the CDF will be matched by Mountain High Tree up to $500. For more information or if you would like to donate please check out our website or click on the Mountain High Helps button above. We would like to thank you in advance for helping us give back to such a worthwhile cause that helps so many. Temperatures in February can drop well below zero, and this can pose a risk to the above ground portions of your irrigation system. Be sure to wrap your vacuum breakers to prevent damage. No need to shop anywhere else! work as an arborist. Thanks for sending him and his crew. They arrive on time, do a great job, clean up and leave with minimum inconvenience. Good job climbing up and removing dead wood from the tree. The tree removals and pruning went great as usual. Roots – Because roots are “out of sight” they are usually “out of mind”. As well as absorbing nutrients and water, they are key to a tree’s ability to support itself. Drought or other impacts can cause a loss of portions of a tree’s root system, so supplementing these needs is important. Following are some ways Mountain High can care for your trees and their roots. Winter Watering – Winter is Colorado Springs’ driest season. Many trees in our landscapes are adapted to areas with more winter moisture, so supplemental watering is one of the best treatments for your trees and their roots. Mountain High uses a high pressure soil probe to quickly and effectively get water into the critical root zone. (With a 2 person crew, we can pump up to 400-500 gallons of water per hour, as opposed to about 30 gallons per hour for the average homeowner using a soil probe.) Our deep root watering service also includes a natural soil conditioner. Rich was raised in Levittown, NY. He moved to Denver in 1992 and started working for Mountain High Tree in 2011. Rich is our unsung hero that does all or our building maintenance, mulch deliveries and anything else that needs taken care of on a daily basis. He is also our practical joker and that keeps us on our toes! 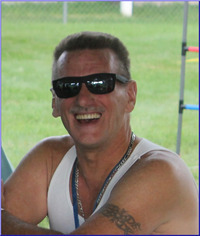 Rich is married to Deanna, his lovely wife of 24 years, has 2 children and 1 grandchild that he loves very much. In his spare time, he loves to play with his granddaughter and ride his Harley!